The Wahoo combines two beautiful-sounding analogue filters with digital control giving you full access to a sonic pallette previously only available to skilled analogue circuit designers. 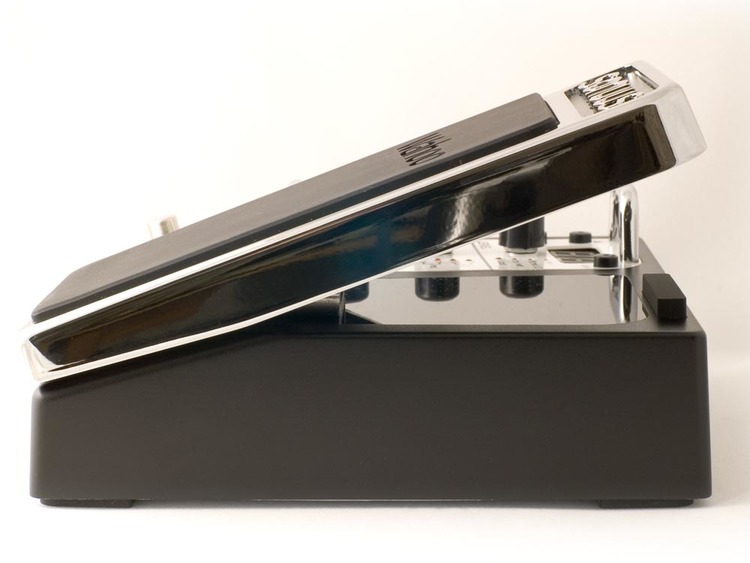 With one pedal you have an English wah sound, and American wah sound, and everything in between. 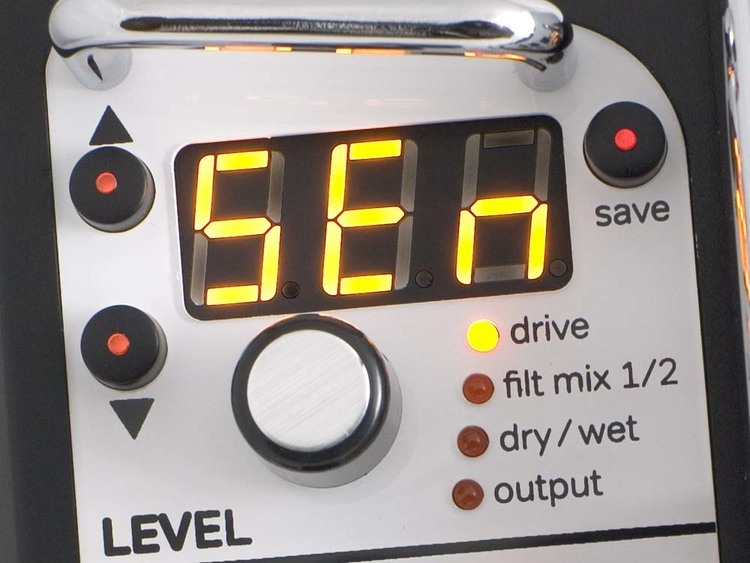 You can even program the frequency response of the heel and the toe position. 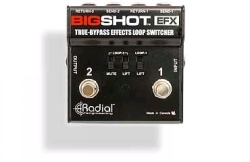 It’s a phaser, envelope filter, a pitch-bend triggered wah, step filter, overdrive and much more. You can even choose any vowel sounds. 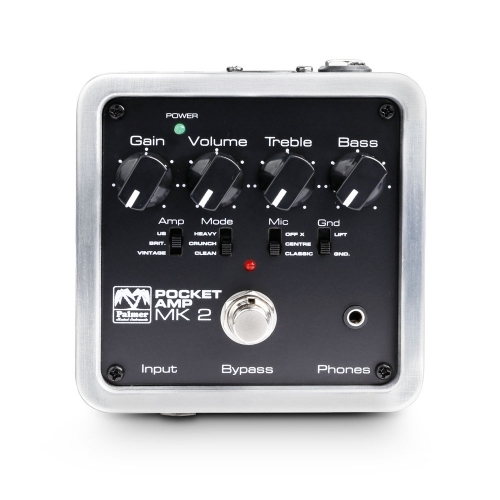 Forget about using hidden pots and jumpers to adjust your analogue sound. 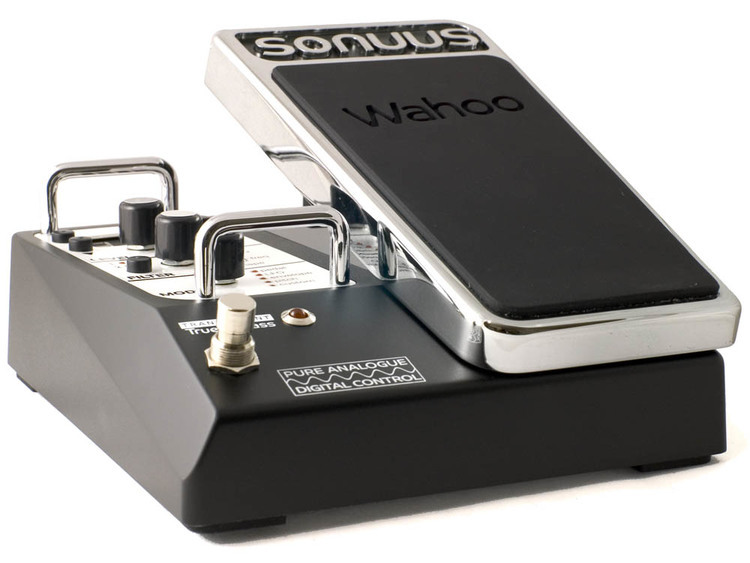 With the Wahoo you can instantly adapt the analogue circuit's response to create the sound and feel you desire. And with 100 factory presets and 100 user presets, you always have the sound you need at your fingertips. 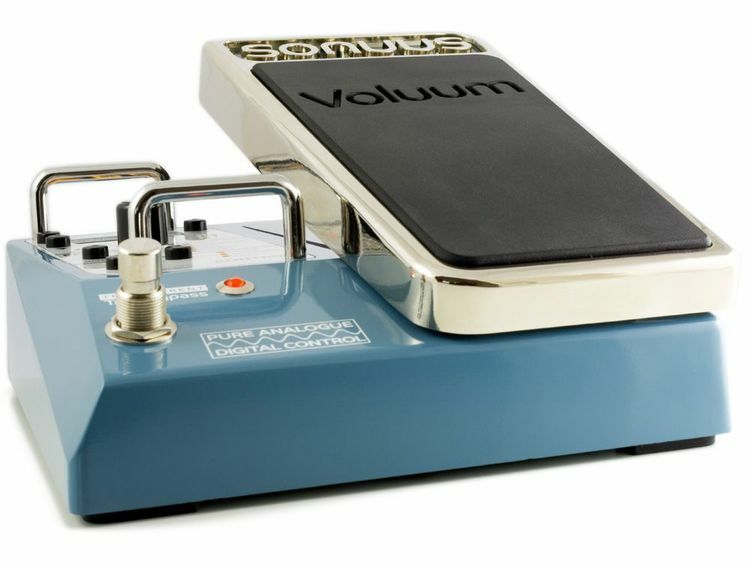 The wide frequency range (10Hz - 4000Hz) and resonance range (flat to self-oscillating) and built-in overdrive of the Wahoo filters mean almost any wah pedal or filter sound is available. 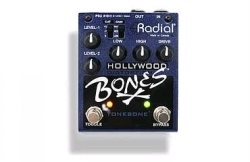 From low-Q, dark rock sounds to clean country twang to bubbly resonant bass envelope filters. But why stop there? The Wahoo lets you go beyond the standard sounds and create entirely new sonic signatures. 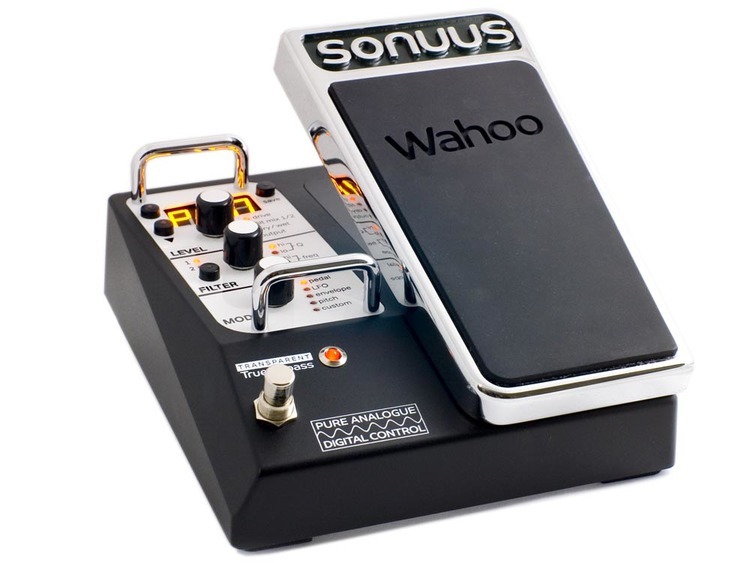 Craft your perfect vowel-based vocal wah, or explore the unique Sonuus pitch-wah where the wah actually follows the bends of your notes. The Wahoo has the capability and ease-of-use that lets you explore your own ideas quickly. 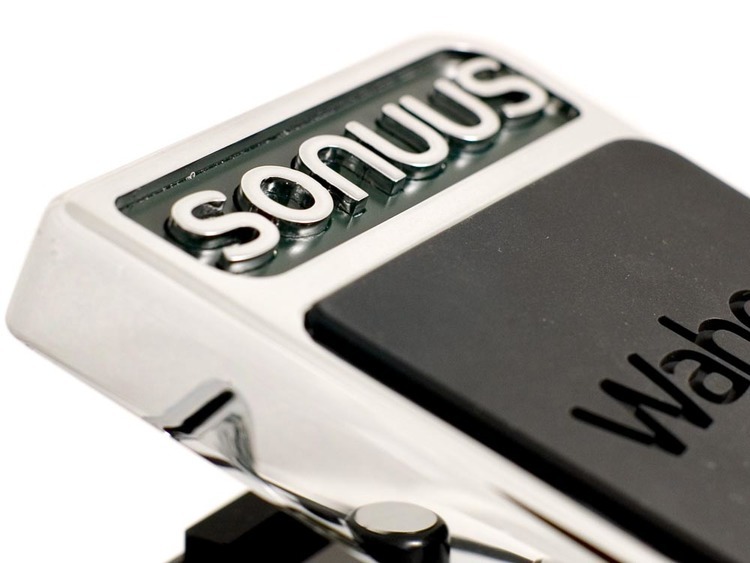 Engineered for longevity, Sonuus' unique custom-designed, patented InfiniQ pedal sensor delivers the smoothest possible sonic response and superb reliability. 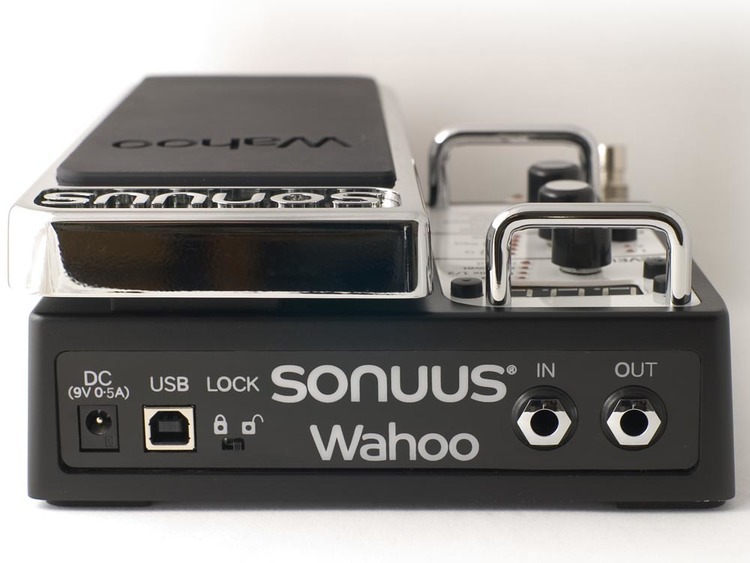 Unlike other wah pedals, the Sonuus InfiniQ sensor is based on technology used in the toughest of industrial environments, it's unaffected by dirt and grease and is guaranteed never to wear out. Combined with the Wahoo's robust cast-aluminium case and modern electronic design you can be assured of years of trouble-free operation.